February 25, 2015 by Luis Umpierre Jr. and Luis Umpierre Sr.
Great early bird morning bite. 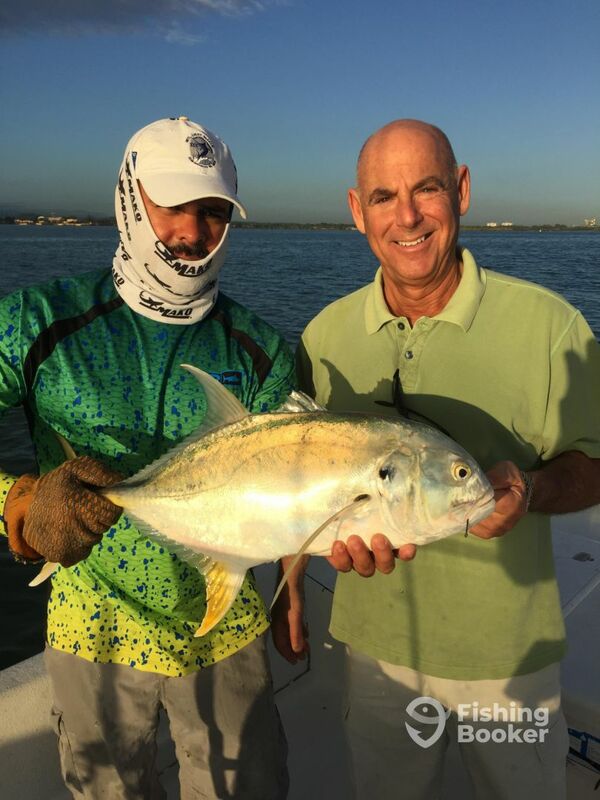 Under a clear sky, light wind and calm waters, power father Stan and his son from NJ where able to capitalize on 5 fish (2 Tarpons and 3 Jack Crevalle) out of 9 chances. Tarpon where rolling and active at first cast and it didn’t take long until they hook up and landed their first fish which was a Tarpon. 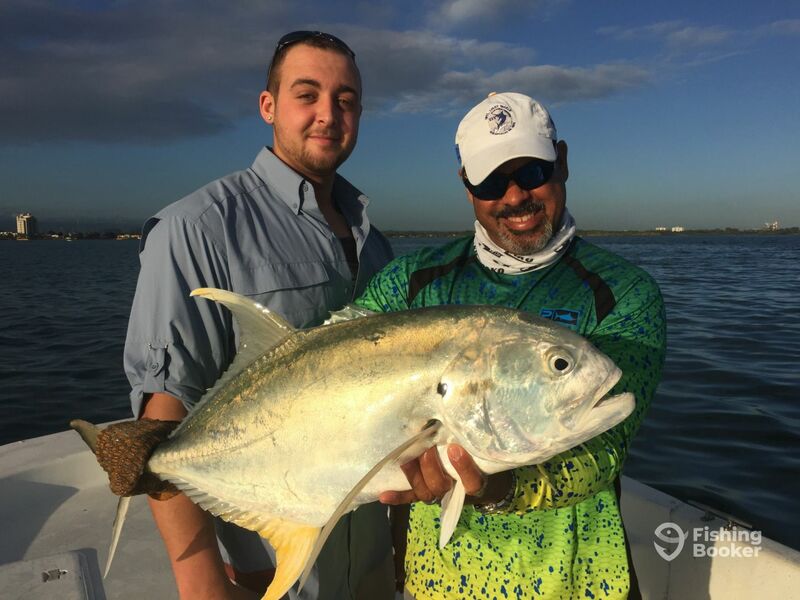 Congratulations Stan for landing your first Jack Crevalle and thank you Stan for choosing Bayside Fishing Charters and for allowing us to serve you and your son. Looking forward in fishing together again.